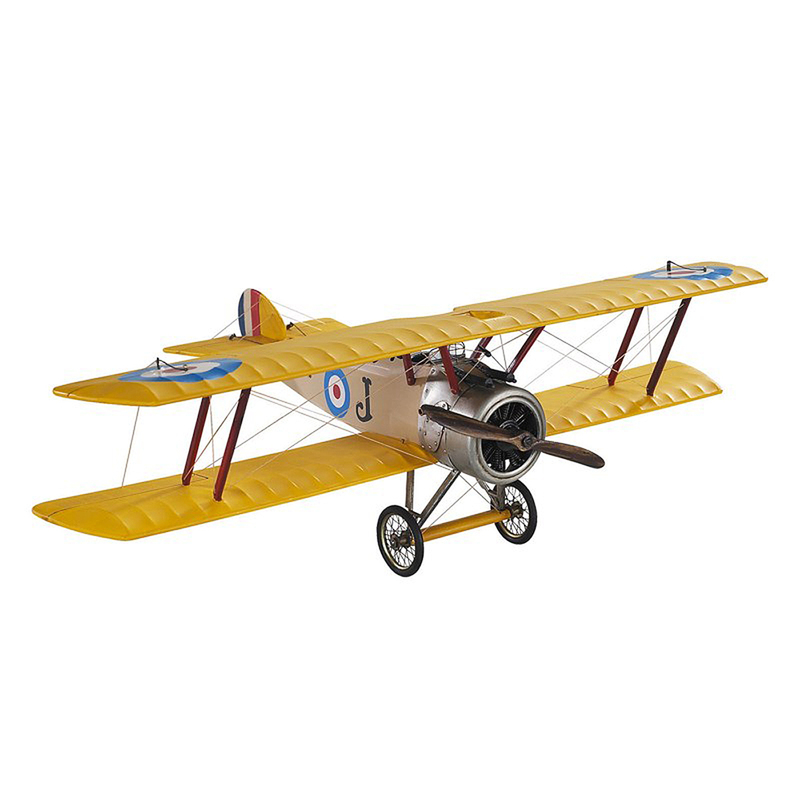 First introduced on the Western front in 1917, the Sopwith Camel is a British single-seat fighter aircraft is credited for the important role it played in WWI. This dedicated repica model has been crafted by hand and is complete with etched metal sheets, rivets, windows, a front propeller, landing gear…inspect and admire today! Handmade from etched metal, wood and fabric. Meticulous details such as rivets, windows, a propeller, landing gear and wheels. True to the original plane. Dimensions: 37cm (l) x 13cm (h) x 25cm (w).